So February is over, and we’re onto March. Spring collections are out and lipsticks are getting brighter. Here is a list of items I enjoyed this past month. 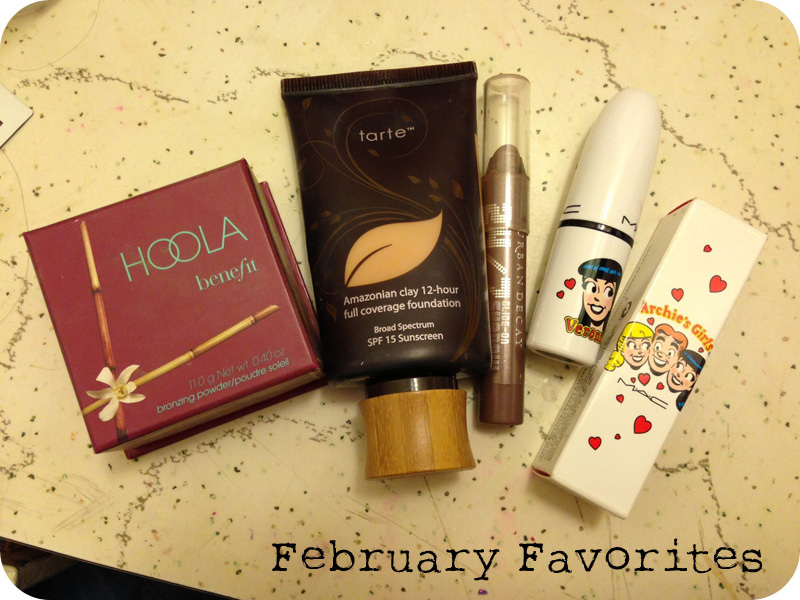 Let’s call them my February Favorites. Tarte Amazonian Clay Full Coverage foundation- I reviewed this way back in our first TPG post. I love it so much, I can’t go a day without it. Urban Decay 24/7 Glide-On Shadow Pencil in Juju- I wake up late most mornings and don’t have the time I want to create elaborate blended shadow looks. So I reach for this pencil quite often. It’s shimmery, it’s a nice neutral color, and it's long lasting (even without a primer). This shadow and some mascara will get me through the day. Mac’s Daddy’s Little Girl from the Archie’s collection - I reviewed this lipstick (along with Ronnie Red) here. It’s kind of the perfect color for this time of year. It’s bright enough to be a spring color, but also rich enough to still be worn in the winter. Benefit Hoola Bronzer - I never really got the hype with this bronzer until this month. I’m pretty much at my palest right now since I spend about every hour of the day indoors. This bronzer is just the right shade to make me look alive. I use it to contour mostly, but I also dust it on around my face to warm it up. As Vanessa mentioned in the last post, we are obsessed with SheaMoisture. 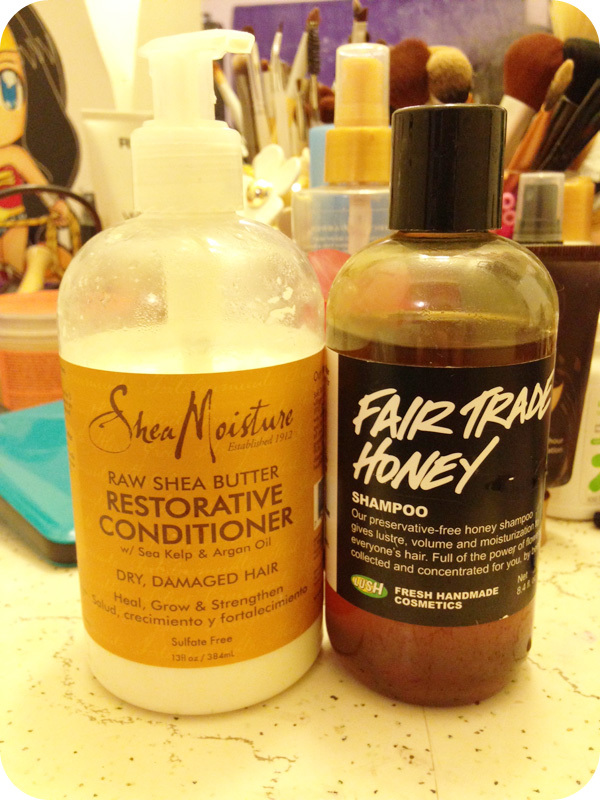 So I of course have to include the Restorative Conditioner in this list. Lush’s Fair Trade Honey Shampoo- I’m using this as my clarifying shampoo to get rid of product build up. It’s made up of 50% honey, and smells delicious! It leaves my hair super shiny and big. And that’s it! Not too much going on but I just haven’t had a chance to check out a lot this month. Anything I'm missing out on?